Bookshelves surrounding the entry from a living room to a dining room make creative use of what might otherwise be under-utilized wall space. 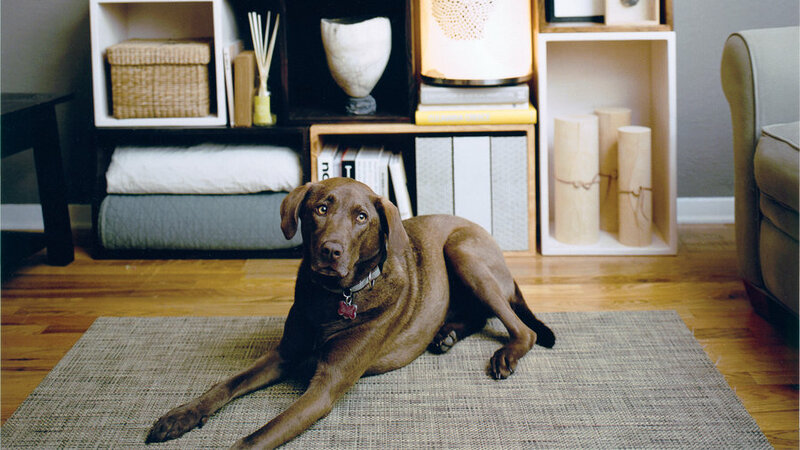 Small-home living requires creative--sometimes even eccentric--storage solutions. 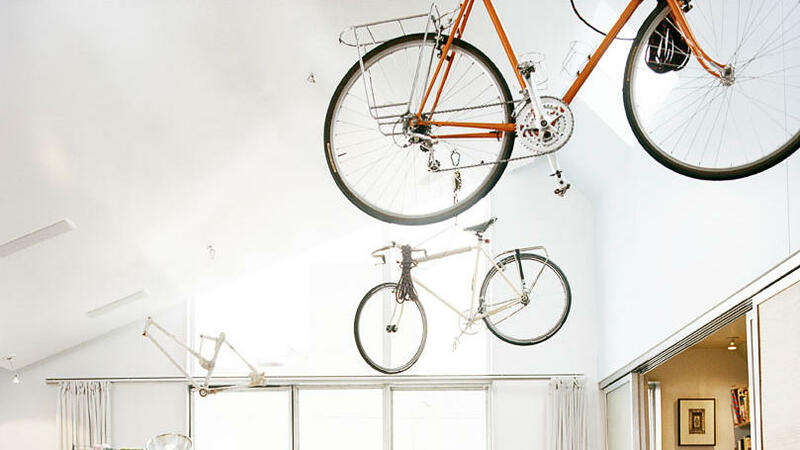 Bicycles held up by a system of pulleys hover above this comfortable living room. 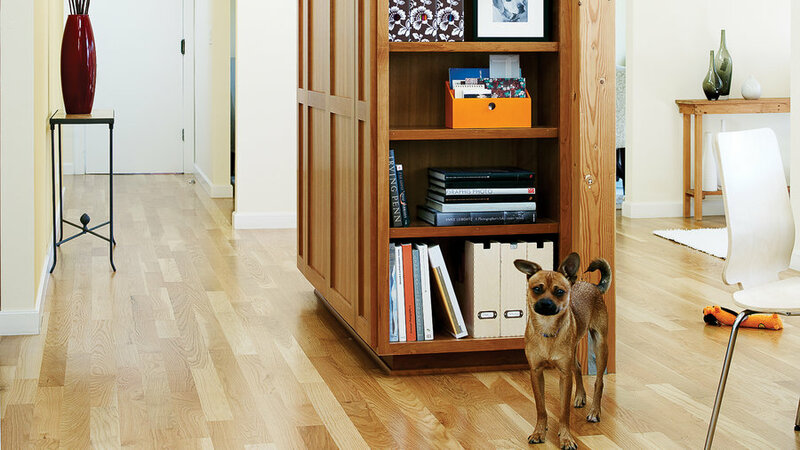 This free-standing cabinet creates a visual separation between the entryway and living space. It provides a large amount of closed storage to keep the room uncluttered. Freestanding wall units can be much less expensive than built-ins. Create a niche in the unit for a workstation to add even more function. 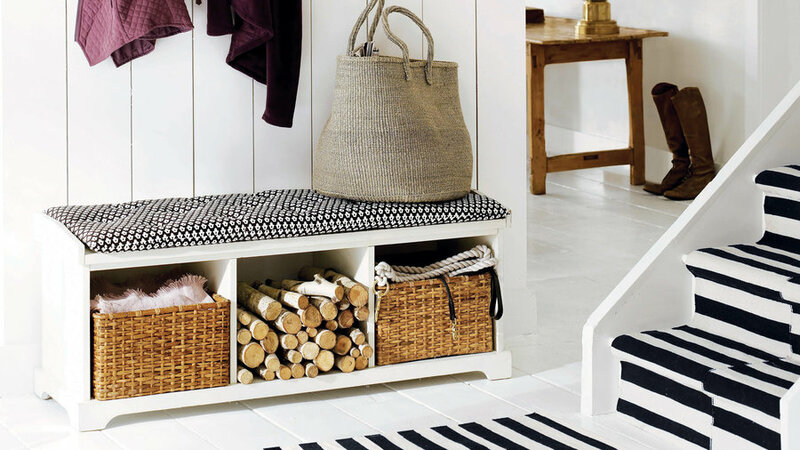 This bench and shelf combination from Pottery Barn makes up for the lack of an entry closet. Both pieces have cubbies to stow daily use items, and hooks under the shelf keep coats and bags ready to go. Multipurpose furniture is a must. 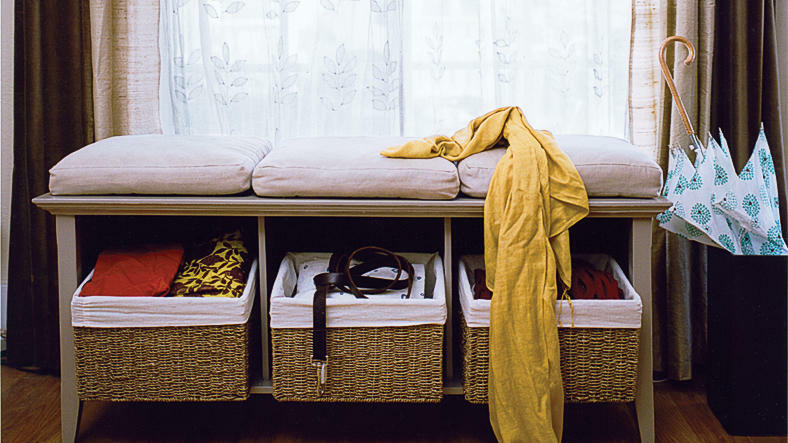 If you don't have an entryway closet, a storage bench can hold anything you need to unload. Plus it can double as extra seating, rather than clunky folding chairs. 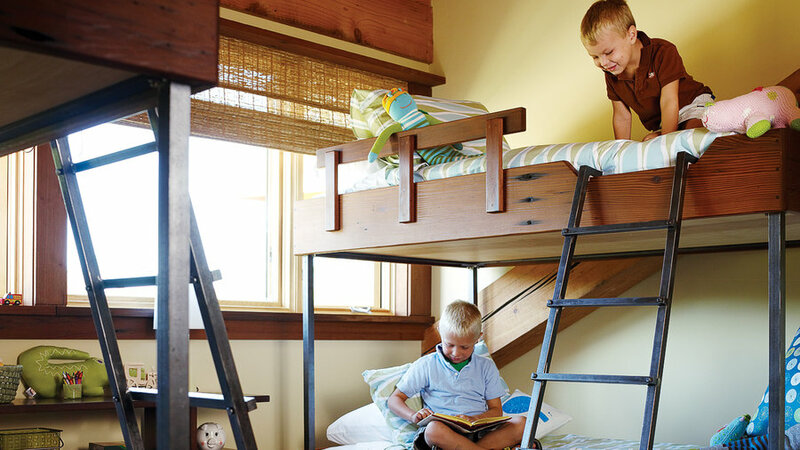 When you have limited rooms for your little ones, go with the mainstay solution: bunk beds! They keep floor space open for other activities. 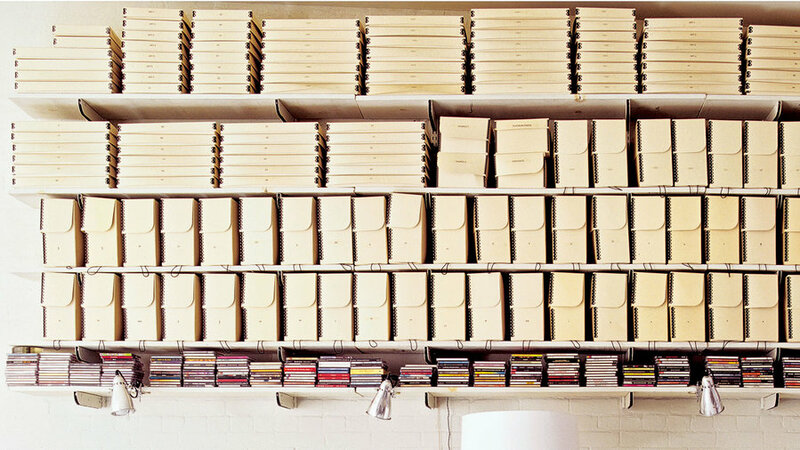 Any unused space is fair game for storage. 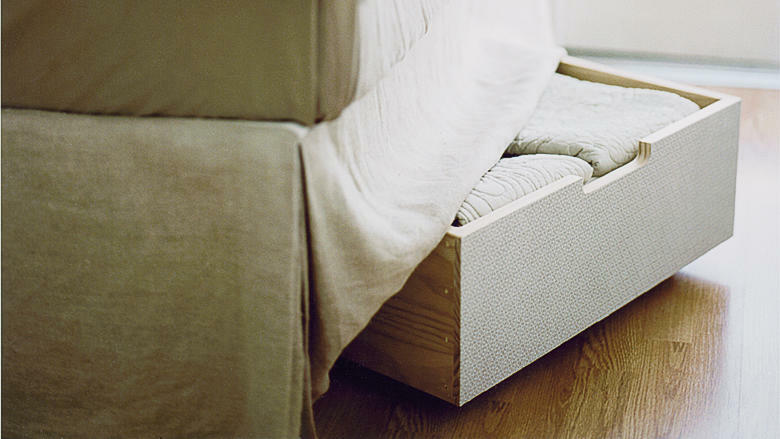 Drawers on casters conceal seldom-used items under the bed. They also work well for storing toys in a cramped kid’s room. Use garment bags to keep dust out of stored linens. Cubbies are ideal for storage and display--and are easy to stack and rearrange. Bonus: A tower of books makes a great display pedestal. 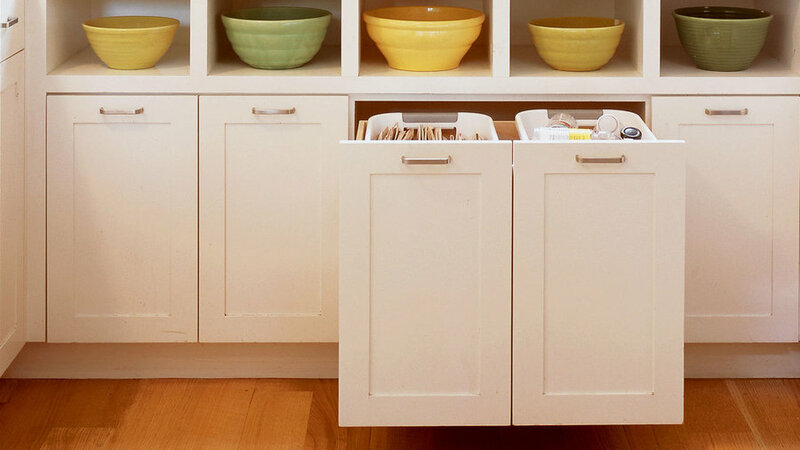 Keep everyday-use items handy instead of tucked away in cabinets or drawers. 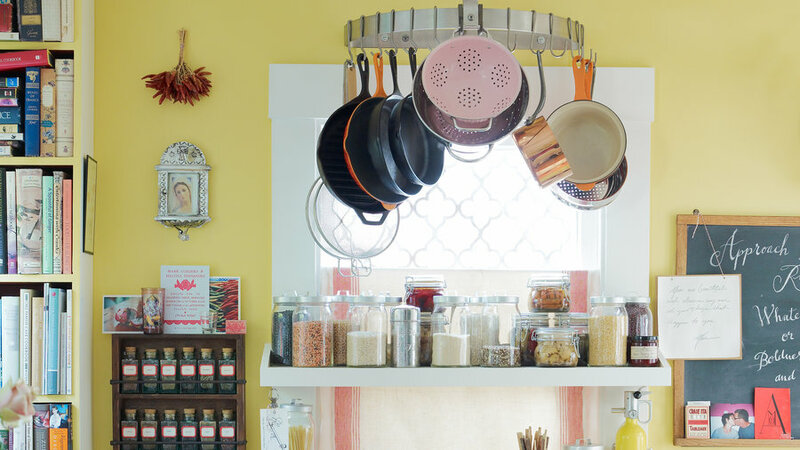 Using a hanging rack for pots and pans and a floating shelf for jarred items accomplishes just that, yet in an uncluttered way. In addition to your main kitchen trash can, try to find room for pullout cans to hold glass, metal, and paper recycling. You can also use a pullout system for your main trash can if space allows. 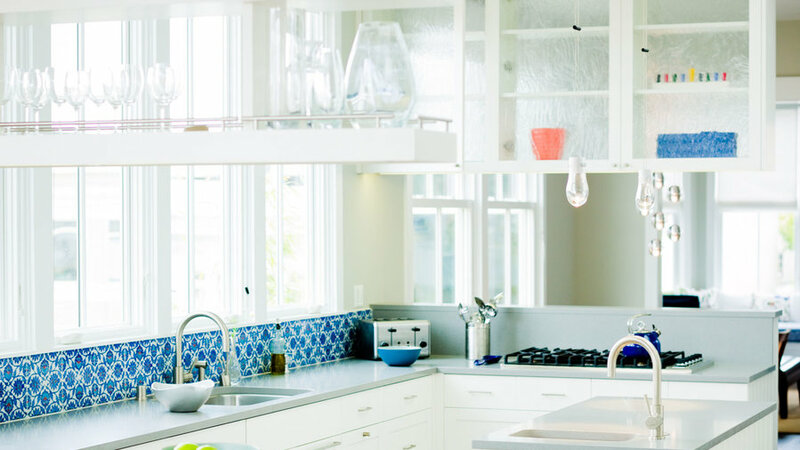 A trio of open shelves and an upper cabinet with wavy glass doors on both sides allow light to stream into this small kitchen's many windows. 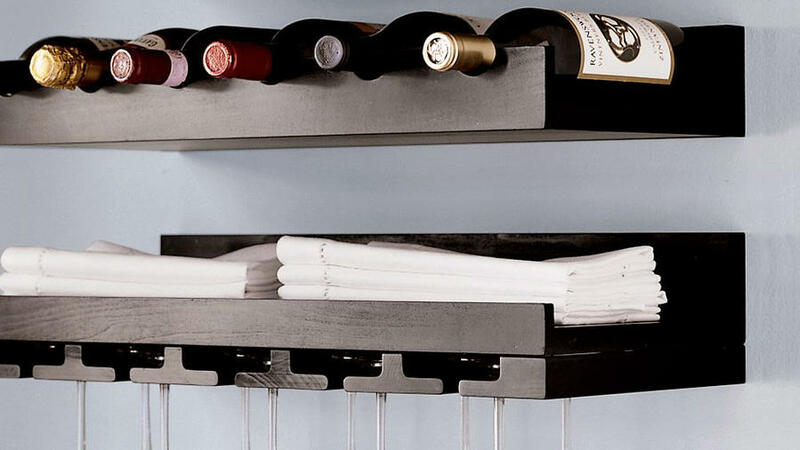 There are a variety of small racks and shelves on the market that will allow you to keep your short-term wine supply correctly oriented and organized in the kitchen. The Holman Entertaining Shelves from Pottery Barn hold six bottles and include wooden glides for hanging accompanying wine glasses. Open shelves are all about easy access, but they force you to edit. When items are in plain sight, you know what you have; you tend to forget about things behind cupboard doors. 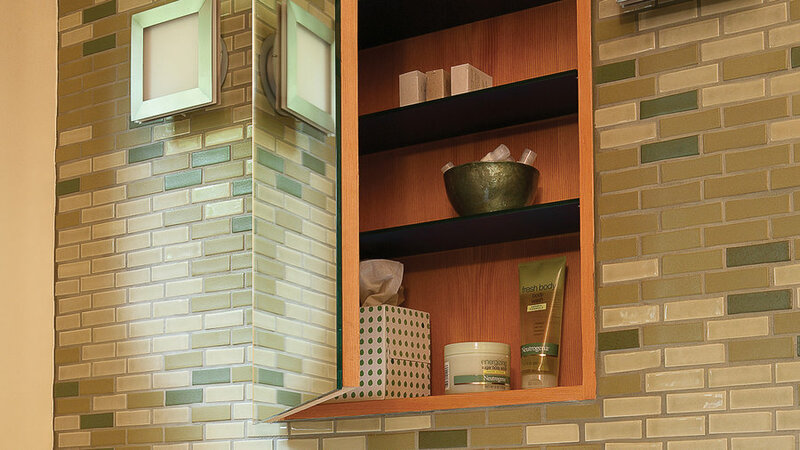 Keep the bathroom sink area uncluttered with a recessed medicine cabinet above. A frameless mirror gives it a streamlined feel. 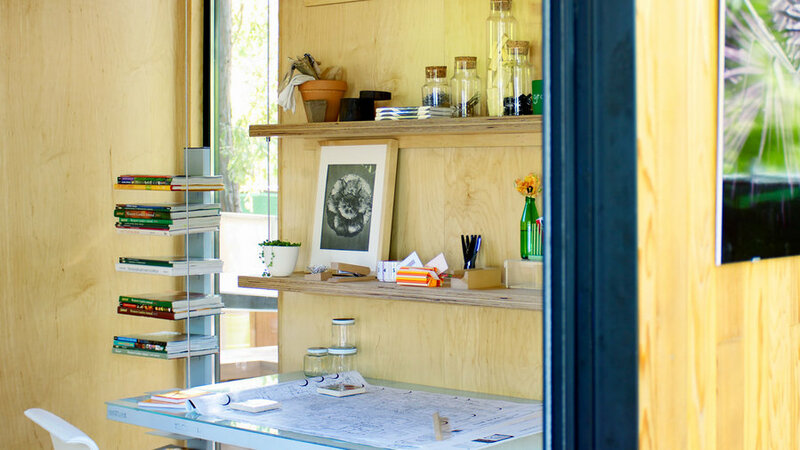 Need more storage space in your home office? Go vertical. 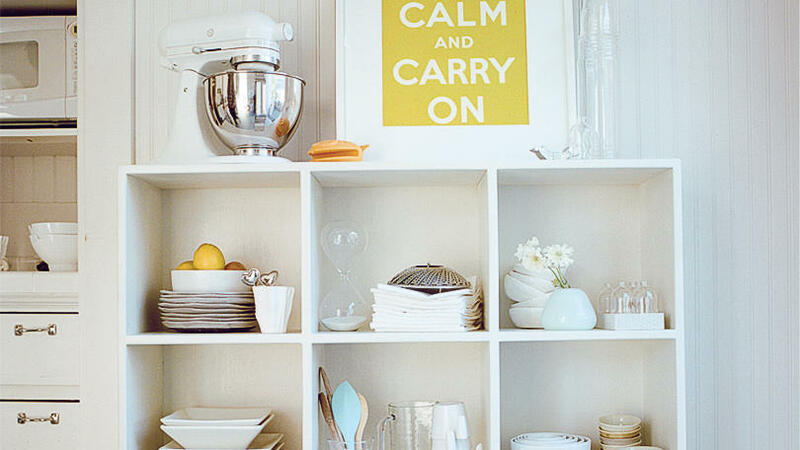 Shelving items above you will free up surfaces and keep things organized. 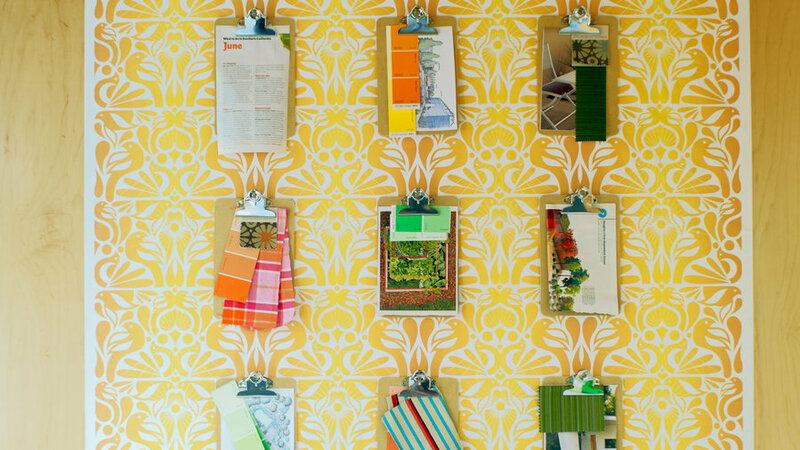 Using a monochromatic organizational system like the one pictured here produces a clean look. Shelves above and to the side of your desk keep everything close at hand and also allow for extra display space. 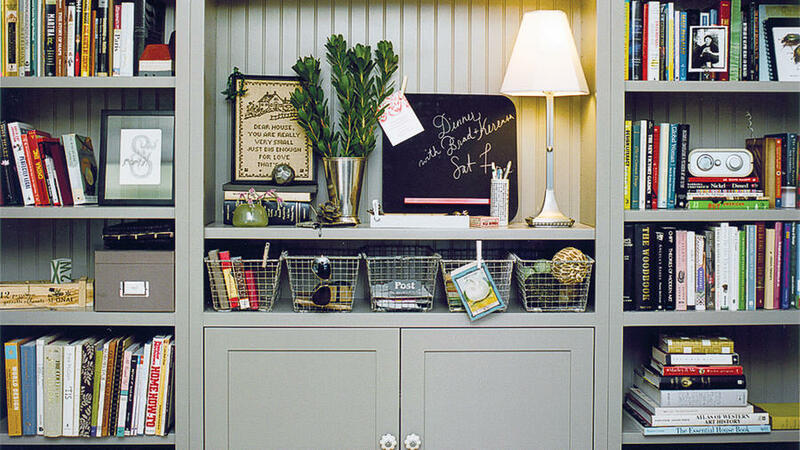 Keeping loose items organized in a home office can be a challenge, but you can pull them together artfully. A wall of clipboards hanging over a small table makes this a mulitfunctional work space. Setting up an office inside a closet gives you plenty of sotrage space. With the door closed, you'd never know the work space was there.